Dreamworks Online Shopping Nigeria is your one stop online Shopping store. We are an online store where you can purchase all your home electronics, home appliances, laptops & computers and more online and have them delivered directly to you. Shop online with great ease as you pay securely with your card or on delivery stress free! Check out our home appliances section where we have the best selection for you. Shopping online in Nigeria is easy and convenient with us. 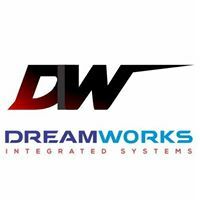 Dreamworks provides you with a wide range of products you can trust. You can take part in the deals of the day and discover best prices on a wide range of products. Dreamworks makes online shopping fun with our new arrivals as well as huge discounts on a large selection of items and more. Stay connected to all the happenings in the world of sports, politics and entertainment with top quality electronic devices and mobile phones. We provide a wide range of mobile devices across all brands that will keep you connected. Check mobile phones from top brands such as LG, Lenovo, Infinix, Innjoo, Blackberry, Microsoft, Samsung, Apple and more. On dreamworksdirect.com, we stock the latest versions of mobile phones from all your favourite brands. Our relationship with OEMs also ensures we give you the best prices on these gadgets and devices. Check out the Lenovo A7-30, Xtouch E1, Mi Tribe A500, Innjoo Max 2, Infinix Hot Note, Gionee Marathon M5 Mini, Tecno Camon C9, iPhone 7 and the latest Microsoft Lumia phones. Whatever budget you are working with, we have smartphones from as low as N15,000. Donâ€™t hesitate to take advantage of our computers and accessories. Shop the latest laptop computers from Dell, HP, ASUS, Acer, Apple Mac & more. There are also home entertainment electronics available so donâ€™t miss an opportunity to buy the latest LED TV, wireless Home Theatres, DVD players and Grooming Equipment. Discover the lowest guaranteed prices online at Dreamworks, Nigeriaâ€™s largest online mall. 5, Oremeji Street, Beside Skye Bank, Computer Village, Ikeja, Lagos. If you have any question regarding our products or services or have a request to make, feel free to give us a call, send a mail or fill out the form on our website. Click here.